Antenna polarization is a very important consideration when choosing and installing an antenna. Most communications systems use either vertical, horizontal or circular polarization. Knowing the difference between polarizations and how to maximize their benefit is very important to the antenna user. An antenna is a transducer that converts radio frequency electric current to electromagnetic waves that are then radiated into space. 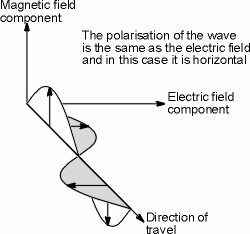 The electric field or “E” plane determines the polarization or orientation of the radio wave. In general, most antennas radiate either linear or circular polarization. A linear polarized antenna radiates wholly in one plane containing the direction of propagation. In a circular polarized antenna, the plane of polarization rotates in a circle making one complete revolution during one period of the wave. If the rotation is clockwise looking in the direction of propagation, the sense is called right-hand-circular (RHC). If the rotation is counterclockwise, the sense is called left-hand-circular (LHC). An antenna is said to be vertically polarized (linear) when its electric field is perpendicular to the Earth’s surface. An example of a vertical antenna is a broadcast tower for AM radio or the “whip” antenna on an automobile. Horizontally polarized (linear) antennas have their electric field parallel to the Earth’s surface. Television transmissions in the USA use horizontal polarization. A circular polarized wave radiates energy in both the horizontal and vertical planes and all planes in between. The difference, if any, between the maximum and the minimum peaks as the antenna is rotated through all angles, is called the axial ratio or ellipticity and is usually specified in decibels (dB). If the axial ratio is near 0 dB, the antenna is said to be circular polarized. If the axial ratio is greater than 1-2 dB, the polarization is often referred to as elliptical. When choosing an antenna, it is an important consideration as to whether the polarization is linear or elliptical. If the polarization is linear, is it vertical or horizontal? If circular, is it RHC or LHC? On line-of-sight (LOS) paths, it is most important that the polarization of the antennas at both ends of the path use the same polarization. In a linearly polarized system, a misalignment of polarization of 45 degrees will degrade the signal up to 3 dB and if misaligned 90 degrees the attenuation can be 20 dB or more. Likewise, in a circular polarized system, both antennas must have the same sense. If not, an additional loss of 20 dB or more will be incurred. Also, note that linearly polarized antennas will work with circularly polarized antennas and vice versa. However, there will be up to a 3-dB loss in signal strength. In weak signal situations, this loss of signal may impair communications. Cross polarization is another consideration. It happens when unwanted radiation is present from a polarization which is different from the polarization in which the antenna was intended to radiate. For example, a vertical antenna may radiate some horizontal polarization and vice versa. However, this is seldom a problem unless there is noise or strong signals nearby. 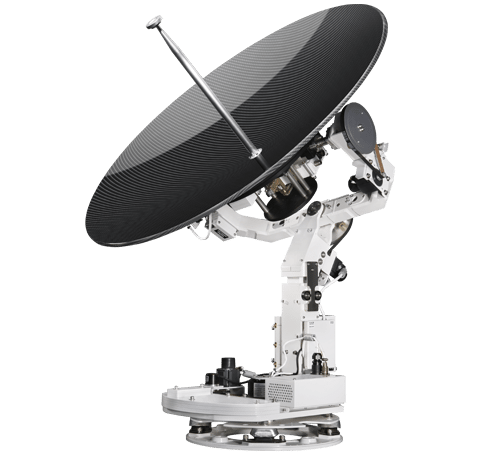 Vertical polarization is most often used when it is desired to radiate a radio signal in all directions such as widely distributed mobile units. Vertical polarization also works well in the suburbs or out in the country, especially where hills are present. As a result, nowadays most two-way Earth to Earth communications in the frequency range above 30 MHz use vertical polarization. Horizontal polarization is used to broadcast television in the USA. Some say that horizontal polarization was originally chosen because there was an advantage to not have TV reception interfered with by vertically polarized stations such as mobile radio. Also, manmade radio noise is predominantly vertically polarized and the use of horizontal polarization would provide some discrimination against interference from noise. In the early days of FM radio in the 88-108 MHz spectrum, the radio stations broadcasted horizontal polarization. However, in the 1960’s, FM radios became popular in automobiles which used vertical polarized receiving whip antennas. As a result, the FCC modified Part 73 of the rules and regulations to allow FM stations to broadcast RHC or elliptical polarization to improve reception to vertical receiving antennas if the horizontal component was dominant. Circular polarization is most often use on satellite communications. This is particularly desired since the polarization of a linear polarized radio wave may be rotated as the signal passes through any anomalies (such as Faraday rotation) in the ionosphere. Furthermore, due to the position of the Earth with respect to the satellite, geometric differences may vary especially if the satellite appears to move with respect to the fixed Earth-bound station. Circular polarization will keep the signal constant regardless of these anomalies. As stated earlier, for best performance, it is desirable to use an antenna with the same polarization on both ends of a communications path. If a system is already in place, all that is required is to find out what polarization is presently being used and match it. 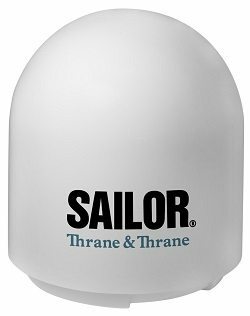 Most base station antenna providers will supply either vertical or horizontal polarized antennas. They are the most economical types. Furthermore, vertically polarized antennas seem to be the most popular for two-way communications, as stated above, while horizontal polarization is most predominant in broadcast communications such as TV and FM. Circularly polarized antennas are normally more costly than linear polarized types since true circular polarization is difficult to attain. An example of a true circularly polarized antenna is the helix. However, the most common circularly polarized antenna uses crossed Yagi’s for “near circular” or elliptical polarization. Elliptical polarization can be generated by placing two identical linear polarized Yagi’s at right angles (90-degree phase differential) to each other and then feeding them with equal power and a phasing network. A well-made antenna of this type will have a typical axial ratio of +/-1 to 3 dB. In special applications, crossed Yagi antennas can be configured to accept either RHC or LHC by a selection relay. If your antenna is to be located on an existing tower or building with other antennas in the vicinity, try to separate the antennas as far as possible from each other. In the UHF range, increasing separation even a few extra feet may significantly improve performance from problems such as desensitization. When setting up your own exclusive communications link, it may be wise to first test the link with vertical and then horizontal polarization to see which yields the best performance (if any). If there are any reflections in the area, especially from structures or towers, one polarization may outperform the other. Furthermore, if there are other RF signals in an area, using a polarization opposite the predominant high-level signals will give some isolation as discussed earlier. On another note, when radio waves strike a smooth reflective surface, they may incur a 180-degree phase shift, a phenomenon known as specular or mirror image reflection. The reflected signal may then destructively or constructively affect the direct LOS signal. Circular polarization has been used to an advantage in these situations since the reflected wave would have a different sense than the direct wave and block the fading from these reflections. Even if the polarizations are matched, other factors may affect the strength of the signal. The most common are long and short-term fading. Long term fading results from changes in the weather (such as barometric pressure or precipitation) or when a mobile station moves behind hills or buildings. Short term fading is often referred to as “multipath” fading since it results from reflected signals interfering with the LOS signal. Some of this fading phenomenon can be decreased using diversity reception. This type of system usually employs dual antennas and receivers with “voting” system to choose the busiest signal. However, for best results, the antennas should be at least 20 wavelengths apart so that the signals are no longer correlated. This would be 20-25 feet at 880 MHz, quite a structural problem. 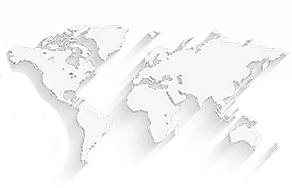 Nowadays we are inundated with mobile radios and cellular telephones. The polarization on handheld units is often random depending on how they are held by the user. This has led to new studies which have found that polarization diversity can be an advantage. The most important breakthrough in this area is that the antennas at the base station do not have to be separated physically as described above. They can be collocated if they are orthogonal and well isolated from each other. Only time will tell if these systems are truly cost effective.